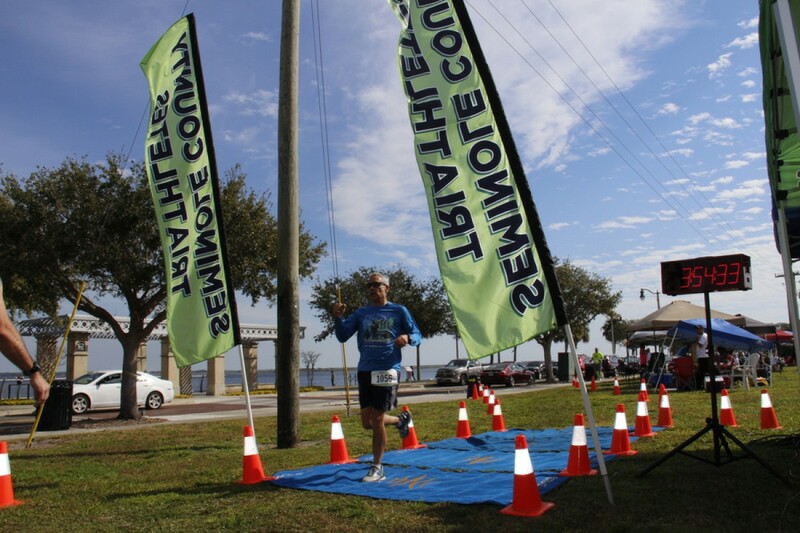 The Seminole County Triathletes invites you to participate in the 4th Annual Dawn to Dusk 12 Hour Team Run and Ultra Challenge. This event takes place on Saturday, February 17th, from 6:30am until 6:30pm at Ft. Mellon Park in Sanford, FL. Participants can create teams of up to 6 members or participate as an individual runner for the entire duration. The course will consist of a 1 mile loop around Ft. Mellon park on the sidewalks. Each team member will be timed and the number of laps counted for the team, or the individual. At the end of the event the total number of miles will be tallied for each team and awards will be given out based on the most miles completed. There will be a variety of divisions and categories for awards, you can read more about it below. There will be an aid station on the course with a wide variety of foods, snacks and drinks and teams are encouraged to come out and set up their own tent to cheer their runners on. This will be an all day party in the park with your closest running friends and some good friendly competition between groups.